Welcome to the webpage for the Diocese of Duluth Office of Worship. 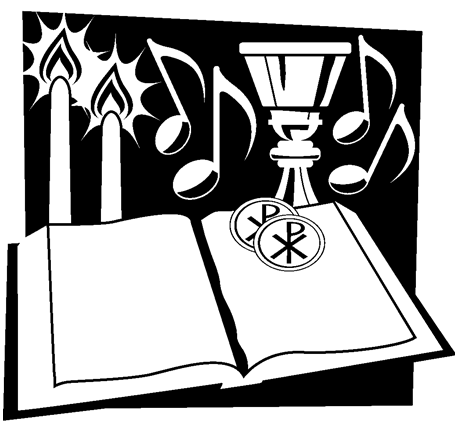 Our hope is that you will find this page a useful source for resources in celebrating the Church's sacred rites and catechesis in liturgy. Perhaps you or a loved one suffers from celiac sprue disease (or other medical conditions that prohibits one from eating foods containing gluten.) The United States Conference of Catholic Bishops gives us guidance in their statement "A Short Introduction to Holy Communion and Celiac Sprue Disease" on possible options for those who otherwise could not receive the Eucharist. In addition, check out this video on a NEW LITURGICAL VESSEL: THE GIFT, where Fr. Leo Patalinghug, from the TV series "Grace Before Meals," speaks of this new vessel as a wonderful means of assisting with Holy Communion for those who must receive a low-gluten host. This vessel was developed to assist priests in being able to offer Mass and distribute Holy Communion, mindful of those who receive low-gluten hosts. For more information on the GIFT, please click this link. According to the Introduction of the Rite of Confirmation (§5), it is within the competency of the Diocesan Bishop to establish the practice regarding the number of sponsors for confirmation. In the Diocese of Duluth, in light of local custom, each confirmation candidate is to name one sponsor. This directive applies to the liturgical celebration of the sacrament and to the preparation process. 1 - The person is to be designated by the one to be [confirmed], by the parents or the person who takes their place, or in their absence by the pastor or minister and have the aptitude and intention of fulfilling this function. 2 - The person is to be at least sixteen years old. 3 - The person is to be a Catholic who has been confirmed and has already received the most holy sacrament of the Eucharist and who leads a life of faith in keeping with the function to be taken on. 4 - This person is not bound by any canonical penalty legitimately imposed or declared. "Worship gives us a share in heaven's mode of existence, in the world of God, and allows light to fall from that divine world into ours."